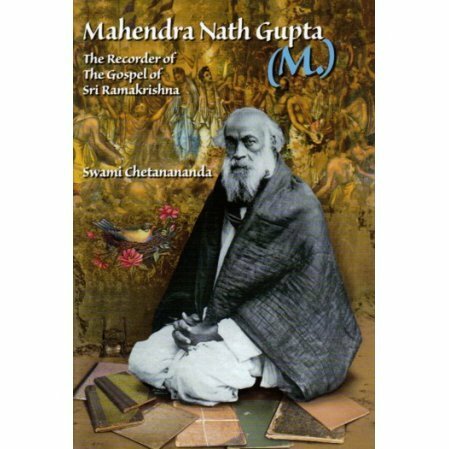 Thanks to Swami Chetanananda, we now have a biography of author of "The Gospel of Sri Ramakrishna," Mahendra Nath Gupta, the self-effacing author who craved no accolades. This book is not really a biography of M, but more of a story of his Gospel of Ramakrishna and the Gospel itself. We learn new details about M, but don't read about his childhood, or even learn his birthday. We see him as a troubled family man who discovers Sri Ramakrishna, someone so holy that he is simply amazed that such a person exists. Much of the material is about the Gospel itself, and the people in it. We learn that M's wife was a frequent guest of the Holy Mother and even traveled with her when she went on pilgrimage. We read M's own words taken from M: The Apostle and the Evangelist, but in much better English.You can thus get a clearer view of Ramakrishna and what he thought, what it was like to talk to him and see him in daily life. Includes much material previously not available in English. A must for lovers of the Gospel of Sri Ramakrishna.